In today’s business world, the home staging business is busting at the seams. It would appear that regardless of the housing business is booming or in a recline, with all of the houses that go on the market every day, the home owner needs to find ways in which to make their home more attractive to buyers than all of the others that are listed in the real estate ads. At Decorate-Redecorate, you can quickly and easily find the tools or the training courses you need that can make a big difference between selling your home quickly and having it linger on the market month after month. Some houses can even take years to sell. Better still, why not use the experience you achieve and the knowledge you gain to launch your own decorating or restaging business? One of the ways you can increase your knowledge is by purchasing the Home Staging Business Guide. In it you will find everything laid out for you in an easy to understand format. This is especially helpful for those of you who are already decorating professionals looking for ways in which to raise your quality of work. 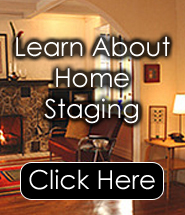 For those of you who have never worked in the staging business before, there are several top notch courses offered that will help you to learn everything you need to know. They teach you not only how to perfect your craft, but also how to manage it and market it as well, because without the skills to market and manage your business you might find yourself without many customers. Regardless of whether you are looking for simple basic training in this area or the decorating business, or if you are a truly creative individual who is serious about turning your love of decorating into a full-time, highly profitable business, you will find the perfect course here that will help you to achieve your goals and do it quicker than you thought possible. Don’t miss the opportunity to turn your home into a show place, even if you are not planning on selling it. Visit www.decorate-redecorate.com today. If you love to decorate and redecorate, take a chance on your own home staging business. Once you see the profits start rolling in, regardless if you do it part-time or decide to start a whole new career, you will gain the knowledge you need to do it right and do it beautifully.